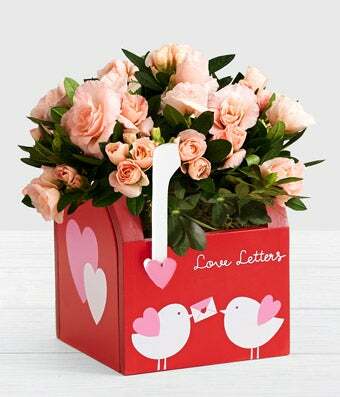 Send this darling mailbox to your love from afar! The sweet blooms of the pink rose bush are sure to express your love in a way that only words just can't. Complete with working flag and mail flap door, the mailbox measures approximately 6.5" high and 5" wide; with plant, gift stands 10-11" tall.